^ Schmidlin, J. 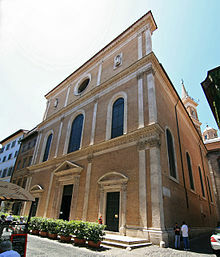 College and Church of the Anima (in Rome). 天主教百科全書. New York: Robert Appleton Company. 1913. Schmidlin, J. College and Church of the Anima (in Rome). 天主教百科全書. New York: Robert Appleton Company. 1913. History of the church on the German community in Rome's website (in German).